Get extended reach and deep rack server support with the FE-3X™ Extended Shelf. Designed for use with the SL-500FX™ Front-Loading Lift, this combo provides rigid support for servers deep into any rack. Perfect for manufacturers and systems integrators. Regular Moves up to 500 lbs. For use with the ServerLIFT SL-500FX Front-Loading Lift, the FE-3X Extended Shelf nearly doubles the forward reach of the SL-500FX platform. It is ideal for the installation or removal of face-mounted or fixed-rail-mounted servers. 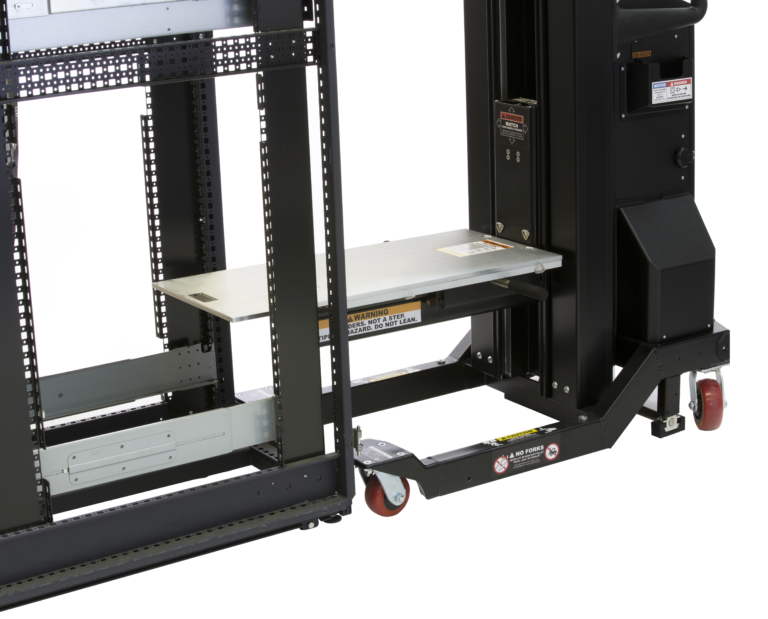 The SL-500FX Front-Loading Lift and FE-3X Extended Shelf combo is perfect for facilities with wide aisles and for manufacturers loading into cabinets mounted on pallets. The FE-3X Extended Shelf is backed by a worry-free, 30-day Money-Back Guarantee. The RL-500™ Platform Riser increases the reach of any ServerLIFT by 8U and ensures that server installs are seamless and safe for all data center applications. 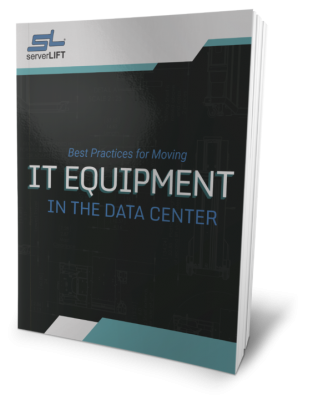 Download our FREE white paper, "Best Practices for Moving IT Equipment in the Data Center"
Whether operators are performing standard functions or migrating IT equipment between facilities, our free guidebook offers a valuable checklist for performing a move safely and without unnecessary risk.